In "My First Coup d'Etat," John Dramani Mahama offers personal reminiscences of the vast cultural changes that took place in Ghana after independence, as old tribal ways died out. The importance of education to the Mahama family is demonstrated by an anecdote told by John Dramani Mahama early on in "My First Coup d'Etat," his memoir of growing up in Ghana, in west Africa, in the 1960s, 1970s and early 1980s. Mr. Mahama's father, Emmanuel, when he himself was a small boy living in what was then the British colony of the Gold Coast, was handpicked to attend a special boarding school about 120 miles from his home village. To reach the school, Emmanuel and the other boys had to walk. They were escorted by two policemen. Along the way, the group spotted several lions up ahead in the middle of the road. What to do? The policemen hit upon a plan. "They found the tallest, fullest trees with solid branches," Mr. Mahama explains. The policemen hoisted the boys up on their shoulders so that they could reach a branch and pull themselves up. Once all the children were perched securely in the trees, the policemen joined them. "They stayed like that throughout the night," the author relates, "feasting on the trees' fruit and whatever little provisions were in the boys' bags, until the lions left the area and it was safe for them to get down the next morning and continue their journey." Thus began what Mr. Mahama calls his father's "unshakable passion for education." Kwame Nkrumah, Ghana's first president, was overthrown by the military, and members of his government were thrown into jail. Among them was Mr. Mahama's father, who by then had been elected to Parliament and was a minister of state. His father's imprisonment, the author writes, "changed my life and influenced all the moments that followed." 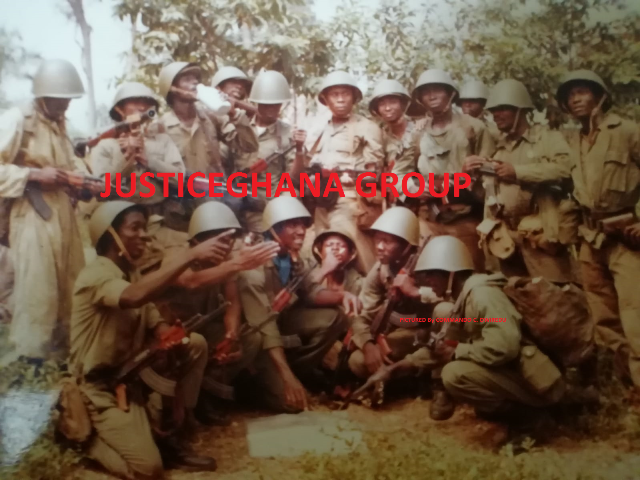 The 1966 coup in Ghana corresponded to the start of the period of time known as Africa's "lost decades." The phrase usually refers to Africa's poor economic performance in the post-independence years, Mr. Mahama explains. But in "My First Coup d'Etat" he uses it to describe the mammoth cultural changes that were taking place in Ghana as old tribal ways died out. Mr. Mahama is at his best in describing this vanished world. He does so with the eye of a historian and the flair of a novelist. "My First Coup d'Etat" is a collection of personal reminiscences centered on the traditional customs of his home village, where every older man is respectfully called a grandfather and every woman a grandmother. Some of the stories are his own, involving one or more of his 18 brothers and sisters; others were handed down by his father, who came from a long line of tribal chiefs. At times the lost world he describes seems almost magical, as if it were populated by fairies and demons rather than real people. Many of his tales revolve around tribal practices that no longer exist. One is the teenage courting ritual called Simpa, or full-moon dance. Simpa would take place in the village square when the moon was "huge, round, and electric white against the black sky." Villagers would start to sing. Then young women would begin to dance seductively, and young men would tap them on the shoulder and ask to join them. "As the evening went on under the light of that moon," Mr. Mahama says, "people would find partners not only for dancing but also for life." As Mr. Mahama moves into high school, university and young adulthood, the elegiac tone with which he has recounted his childhood turns discordant. He becomes more aware of the world outside his family and school—the poverty of most Ghanaians and the failure of the country's politics, which often erupt into violence. His stories still overflow with humanity, but they are darker, sadder and sometimes tragic. In 1981, the would-be dictator Jerry Rawlings stages his second coup—his first takeover of government, in 1979, was short-lived—and Mr. Mahama's life is once again turned upside-down. By now, he is a young history teacher, and he describes his own brutal encounters with soldiers who operate outside the law. He and his father flee east to Nigeria, where Ghanaian immigrants were often blamed for crimes they did not commit. In one ugly episode, he witnesses the vigilante justice of a Nigerian mob against an innocent Ghanaian. The mob runs down the immigrant, forces a tire "necklace" onto his neck, douses it with gasoline and sets it aflame. Eventually Mr. Mahama returns to his own country, attends graduate school and, in the mid-1980s, pursues further studies at the Institute of Social Sciences in Moscow. It is a time of dissent and ferment in the Soviet Union, under Mikhail Gorbachev, and Mr. Mahama sees his socialist convictions lose their tenacity; the experience, he says, "began to move me away from a devotion to any one ideology or archetype." Back in Ghana, he becomes a writer and journalist and, in a story that is not told in this volume, goes on to become a member of Parliament and a minister of state in a constitutional government. Today he is the vice president of Ghana. He and his country have traveled a long distance from the road his father once shared with the lions on the way to school. Ms. Kirkpatrick, a senior fellow at the Hudson Institute and a former deputy editor of the Journal's editorial page, is the author of the forthcoming "Escape From North Korea." A version of this article appeared July 11, 2012, on page A11 in the U.S. edition of The Wall Street Journal, with the headline: The Future Arrived Suddenly.